RMX Technologies is commercializing plasma oxidation technology originally developed at Oak Ridge National Laboratory that cuts the time and energy required in carbon fiber production. 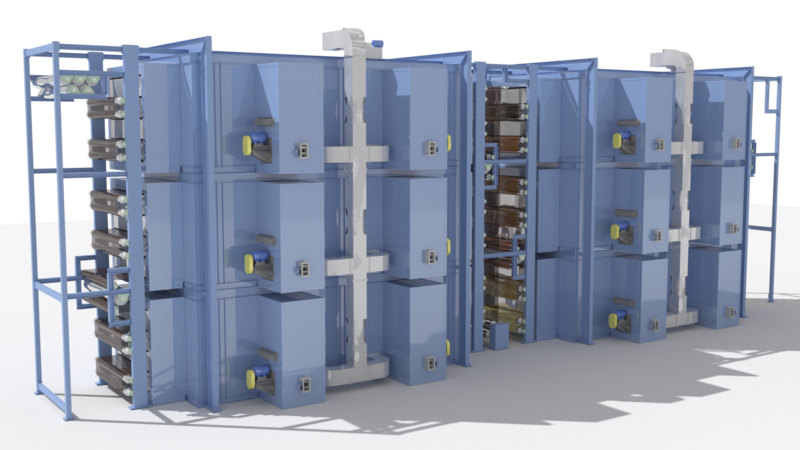 Rendering of a plasma oxidation oven system courtesy of RMX. 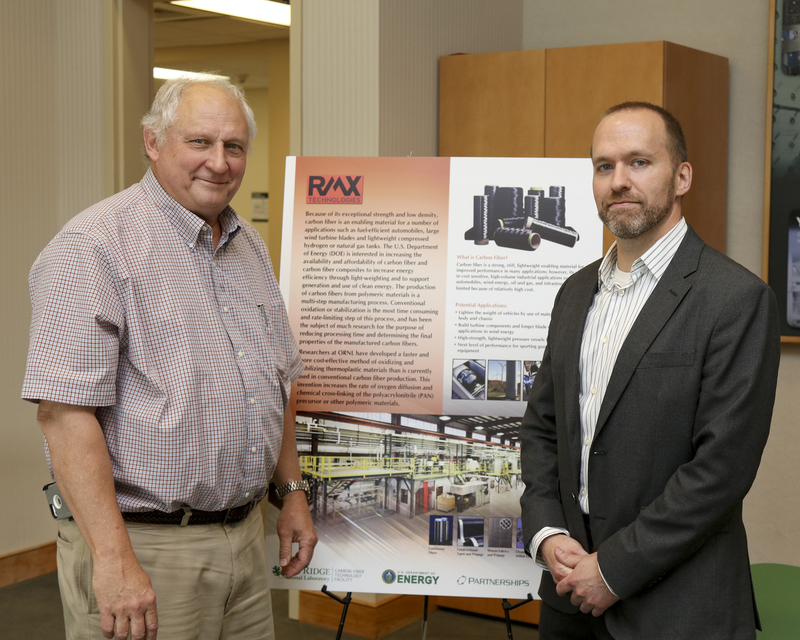 ORNL carbon fiber processing technology co-invented by Felix Paulauskas (left) has been licensed to RMX Technologies, represented by vice president for research and development Truman Bonds. OAK RIDGE, Tenn., May 13, 2016—RMX Technologies of Knoxville, Tenn., and the Department of Energy’s Oak Ridge National Laboratory have signed an exclusive licensing agreement for a new technology that dramatically reduces the time and energy needed in the production of carbon fiber. Lowering the cost and expanding the use of strong, lightweight carbon fiber will improve the energy efficiency of products including cars, trucks, and aircraft without sacrificing safety. Compared to conventional oxidation techniques, the team’s plasma oxidation technology reduces unit energy consumption by 75 percent and lowers production costs by 20 percent, while maintaining or improving the resulting carbon fiber quality. Plasma oxidation can be used to produce all grades of carbon fiber from low-end industrial to high-end aerospace grades. “Commercialization of this technology can accelerate the use of carbon fiber in the auto industry and expand into other areas where strong and lightweight materials provide benefits,” said Truman Bonds, RMX Technologies vice president for research and development. DOE’s Vehicle Technologies Office has funded ORNL’s research in plasma oxidation of carbon fiber.